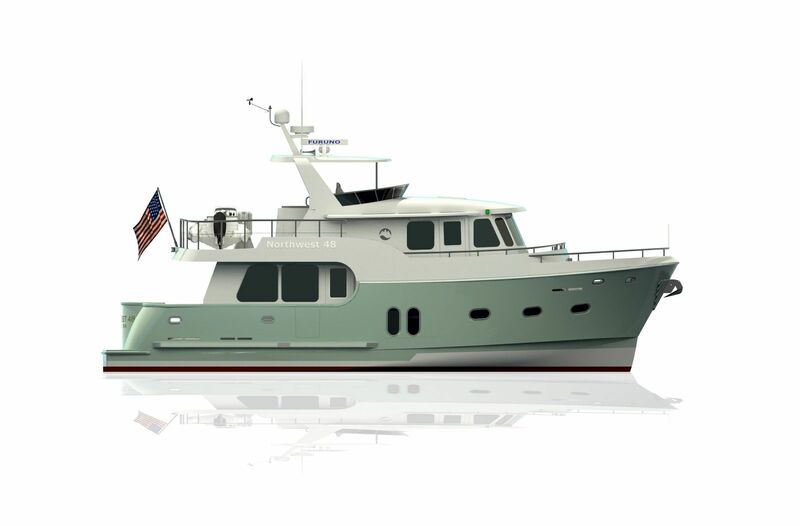 Northwest Yacht’s 48 is the smallest of the fleet, yet you wouldn’t be able to tell that from standing on board. 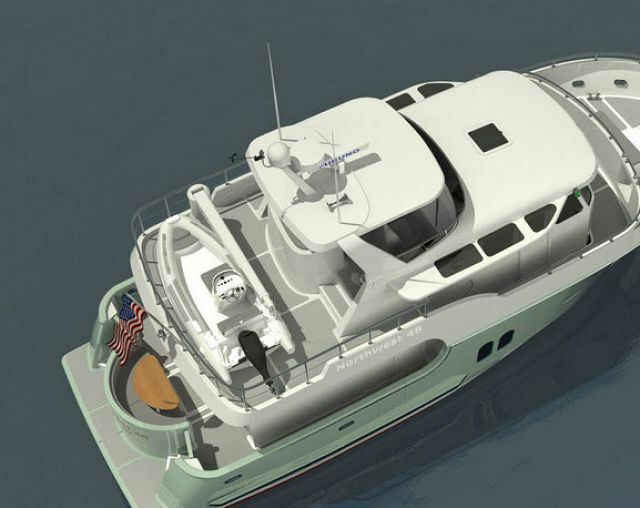 The amount of space on board the Northwest 48 rivals that of much larger motor yachts, mostly due to the 17-foot beam and the perfectly designed layout by Steve Seaton. 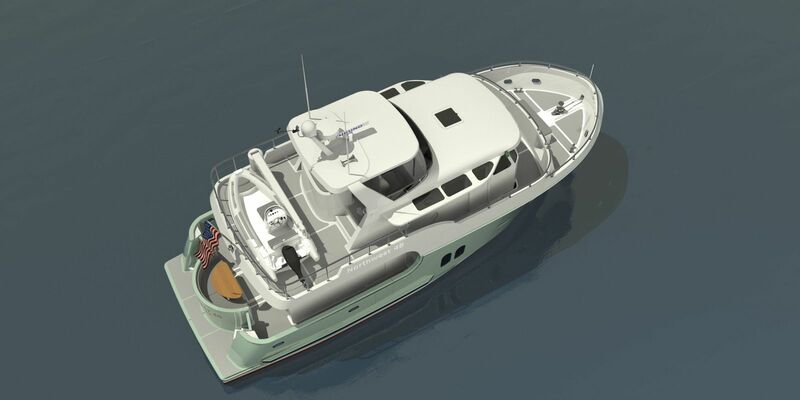 The semi-displacement hull of the 48, as well as its unique shape, provide for a comfortable ride in addition to the extra space on board. 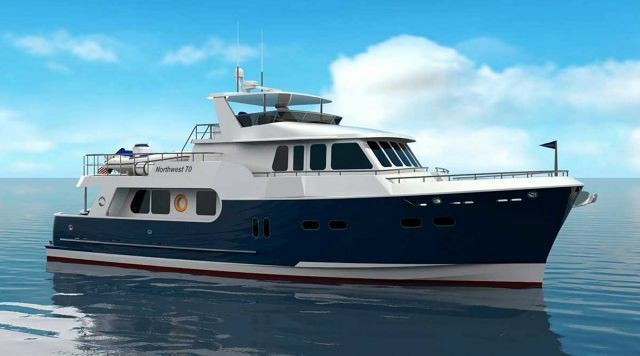 The Northwest 48 is an expedition yacht at heart, yet with many of the same creature comforts as many luxury motor yachts in its same size-range. 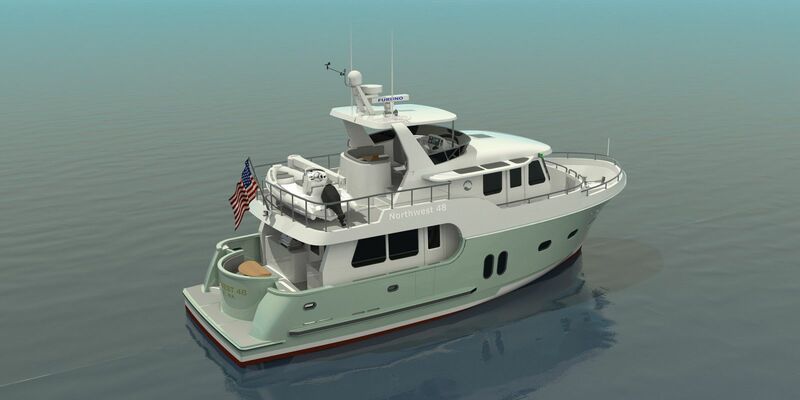 Owner will enjoy the two stateroom, 2 head layout which offers lots of storage space and plenty of privacy. The master stateroom boasts a queen-sized berth, while owners have the option to choose between an additional queen in the guest stateroom or crossover bunks. 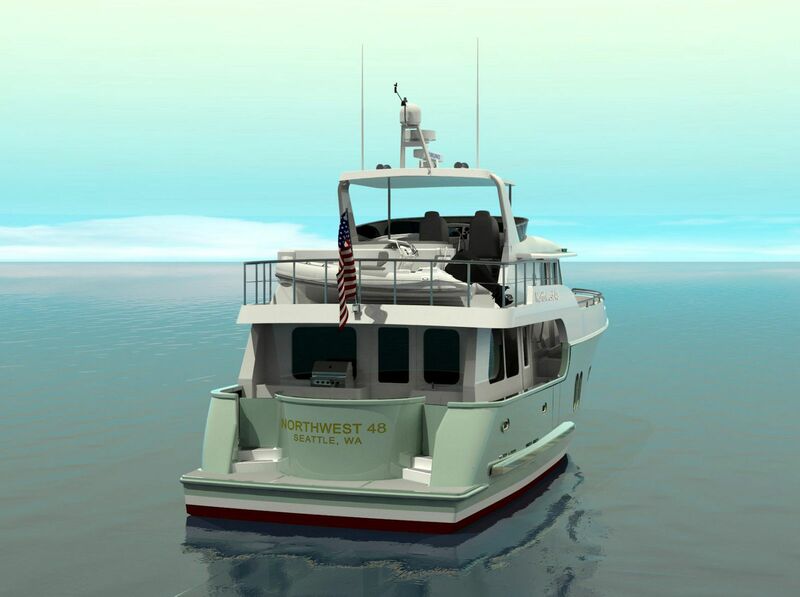 The 48 is powered with twin John Deere 330 engines, although a single engine option is available. 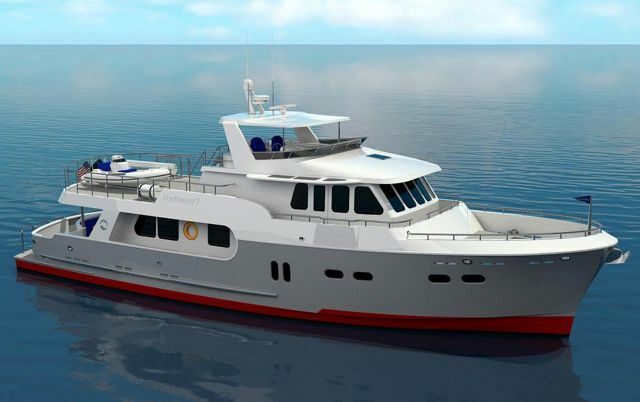 Owners can expect a very economical cruise at 8 to 12 knots with an estimated 1,200 nautical mile range when dropping cruise speed down to 7.5 knots. 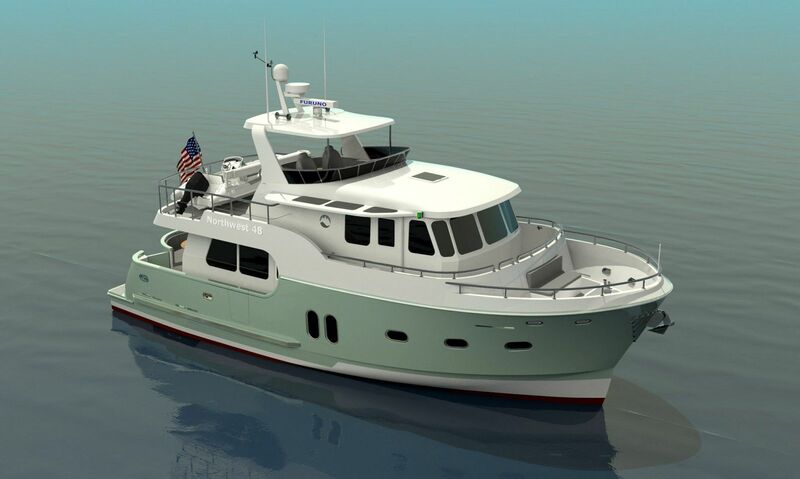 Contact your Seattle Yacht Sales Professional today to get more information on the new Northwest Yachts 48 trawler-style motor yacht. Fuel Tank Capacity: 700 Gal. Water Tank Capacity: 300 Gal. Black Water Tank Capacity: 130 Gal. Gray Water Tank Capacity: 55 Gal.